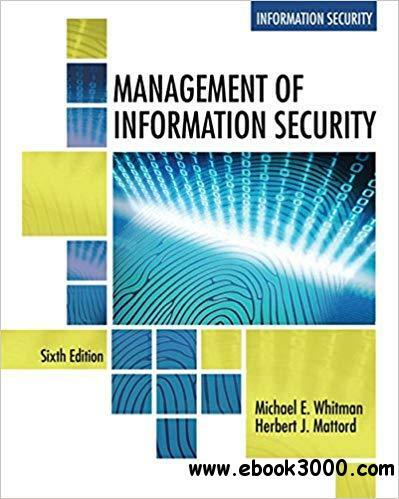 MANAGEMENT OF INFORMATION SECURITY, Sixth Edition prepares you to become an information security management practitioner able to secure systems and networks in a world where continuously emerging threats, ever-present attacks and the success of criminals illustrate the weaknesses in current information technologies. You'll develop both the information security skills and practical experience that organizations are looking for as they strive to ensure more secure computing environments. The text focuses on key executive and managerial aspects of information security. It also integrates coverage of CISSP and CISM throughout to effectively prepare you for certification. Reflecting the most recent developments in the field, it includes the latest information on NIST, ISO and security governance as well as emerging concerns like Ransomware, Cloud Computing and the Internet of Things.